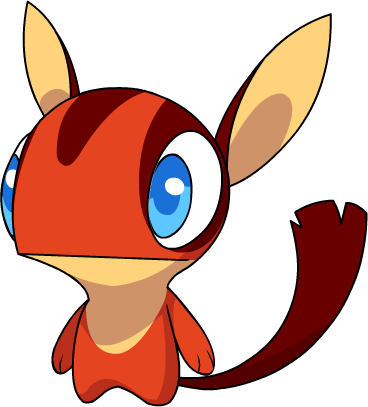 With a desire for beauty, it enjoys volleying fireballs with its tail. Its long, sticky tongue allows it to attack from a distance. Hurls sparks of fire at the target. Increases Skitch's Attack and Defense for every Skitch in the party.